I have to admit that I am getting nowhere fast with SketchUp! The mattress has been delivered, I now have to buy the timber, so yet again SketchUp has gone on the back burner, and I have found a set of plans that I will adjust to the correct size. 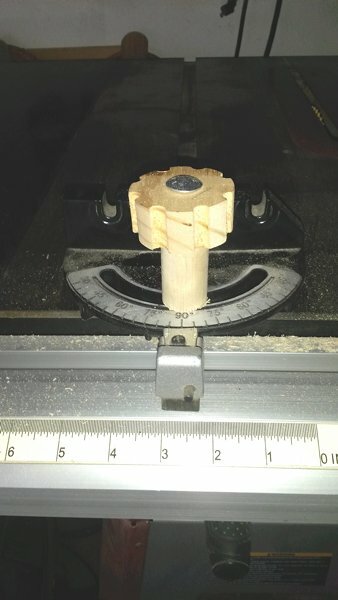 In the mean time, I was in the workshop yesterday, and needed to make a new handle for my table-saw mitre guide. But how did I manage to drill the hole in the centre of the dowel? 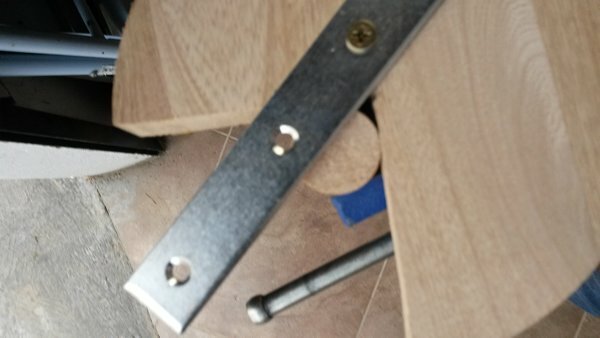 I made a Centre Finding Jig, using the scrap circle I cut out of the dog table, it doesn't have to be a circle, it just happened to be handy and the right size. 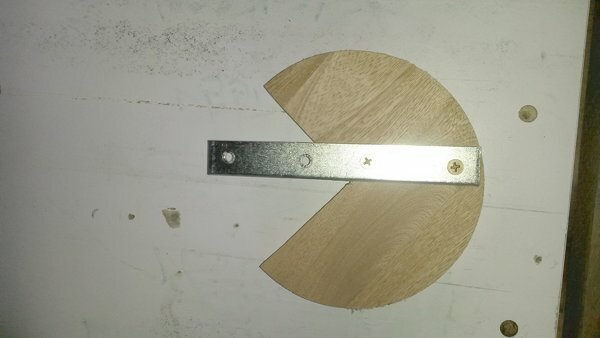 I then cut a 90° section out of the circle, and drew a 45° dividing the open section in two, and using a metal strap, I screwed it along the dividing line. and that is all there is to it. you can then place your circular or square piece of wood into the jig and moving the wood, draw lines along the strap, where they intersect will be the centre. Makes the whole job far easier, and quicker to!